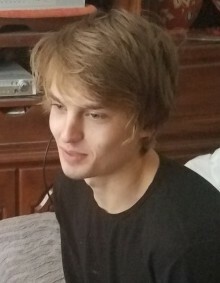 Jacob Ryan Young, 21, of Boise, Idaho passed away on November 29, 2018. Often called Jake, he was born in Boise on May 1, 1997, to Joseph and Monica Young. From the beginning, it was clear that those who loved Jacob should expect the unexpected. He deeply loved animals, and that combination (and perhaps the result of many admonishments to “be nice” to the cat), resulted in his first word, Tigger. That love of animals stuck for life, and over the years he “rescued” countless dogs and cats who followed him home. At just 21 months old, he became a big brother; he took his job to love and protect seriously. As he grew up, Jacob enjoyed sports, starting with swimming lessons and downhill skiing at the age of three and later including taekwondo, water skiing, wakeboarding, snowboarding, skateboarding, and more. He also enjoyed team sports including basketball, soccer, and wrestling. He was fearless in attacking these activities, often leaving his family in the dust as he barreled down Bogus Basin at breakneck speeds. The outdoors were a never-ending source of enjoyment for Jacob, who spent much of his free time camping, hiking, and boating in Idaho and Montana. Jacob was loyal beyond measure to his friends. He was generous to all, friends and strangers, and literally once gave the shirt off his back to someone in need. He was forgiving of others and would caretake his loved ones when injured or sick. He is most remembered for his sense of humor – he was happy and smart and that combination led to many witty comebacks. He met a girl, fell in love, married, and together they had two handsome, adorable sons whom he loved with all his heart. -Give animals love, even if it means a trip to the ER for you. -Elementary school principals don’t approve of pulling down a bully’s pants to defend your victimized friend. -Living next door to urgent care is handy. -Give your last dollar to someone more in need than you because things will work out. -People are flawed - let them into your heart anyway. -When making a first impression, a good joke like “Bloody Fingers” will cement a friendship for life. Jacob is survived by two sons, Laydn and Colt of Horseshoe Bend, Idaho; his parents, Joe and Monica of Boise, Idaho; and his brother, Joshua, of Boise. When things did not work out with his wife, Kathena Armstrong of Horseshoe Bend, Jacob was pleased that she met another who loves his boys. He also leaves behind his maternal grandparents, Per and Michele Hjulstad of Columbia Falls, Montana, and also Dennis Pepper of Fond du Lac, Wisconsin; and his paternal grandparents, Gene and Karen McCabe of Columbia Falls and also David and Rosemary Young of Fort Wayne, Indiana. Jacob precedes uncle Mark Pepper of Columbia Falls; great uncle and godfather Roy Barrett of Salmon, Idaho; uncle and aunt James and Karen Young of Fort Collins, Colorado; and aunt Robin Lopan of Columbia Falls, Montana. Funeral arrangements are being handled by Bowman Funeral Parlor. All are welcome to attend a viewing and/or funeral to celebrate Jacob’s life. The viewing will be on Thursday, December 6, from 5:00 p.m. until 7:00 p.m. at Bowman funeral home at 10254 W. Carlton Bay Dr., Garden City. The funeral will occur at 2:00 p.m. on Friday, December 7, at Mountain View Church of the Brethren, located at 2823 N. Cole Rd. in Boise. Wear something blue to honor him (favorite team: Seahawks!). At a future date following cremation, a commitment ceremony for family only will be held at Dry Creek Cemetery in Boise, Idaho, where Jacob will surely be visited for years to come. Please consider donations to the Idaho Humane Society or your local animal shelter in lieu of flowers. Thank you, Jacob, for all the smiles and laughter. To all you parents out there – go love on your kids.